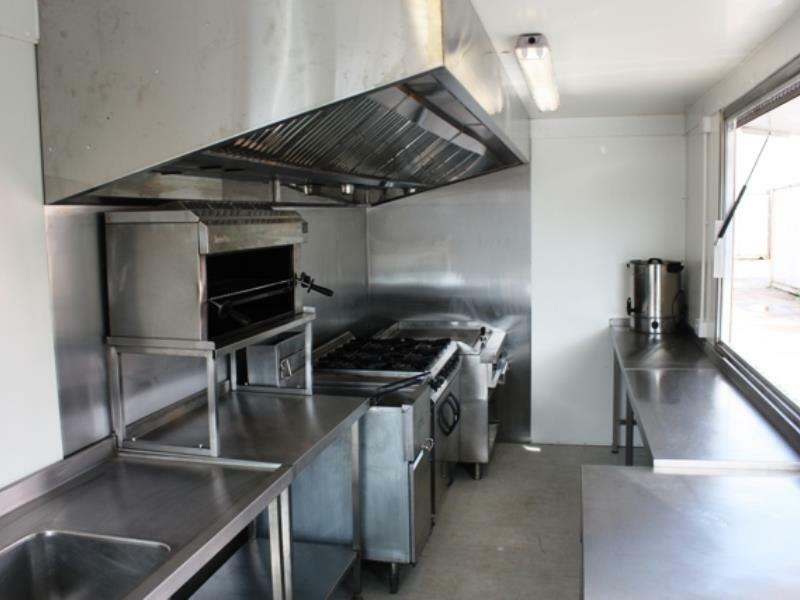 With many years experience in providing temporary kitchens to the catering and events industry, On-Site Kitchen Rentals Ltd are innovators in the field. 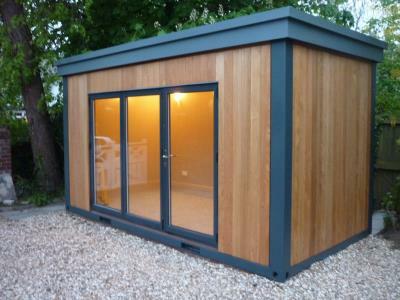 Our hire kiosks offer a perfect outdoor or indoor solution, whatever your business. 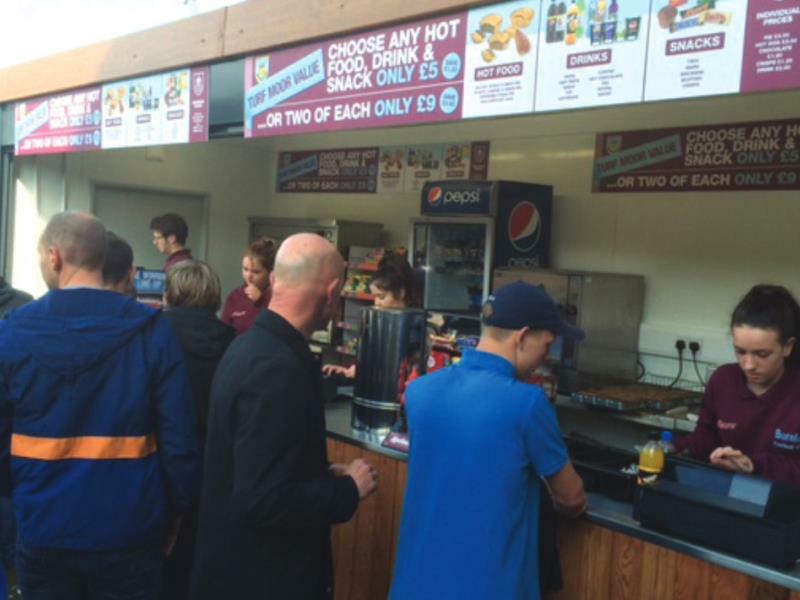 Whether its a food outlet, merchandise or a beverage stand, our kiosks can be placed anywhere, indoor or outdoor, such as stadiums, educational facilities, festivals, shopping centres or in a permanent location on the high street. Incorporating the latest equipment and technologies our kiosks can be built up to suit practically any need, providing an effective and efficient working area for your staff. We can brand them to match your in-house style and custom design them to a specific layout. 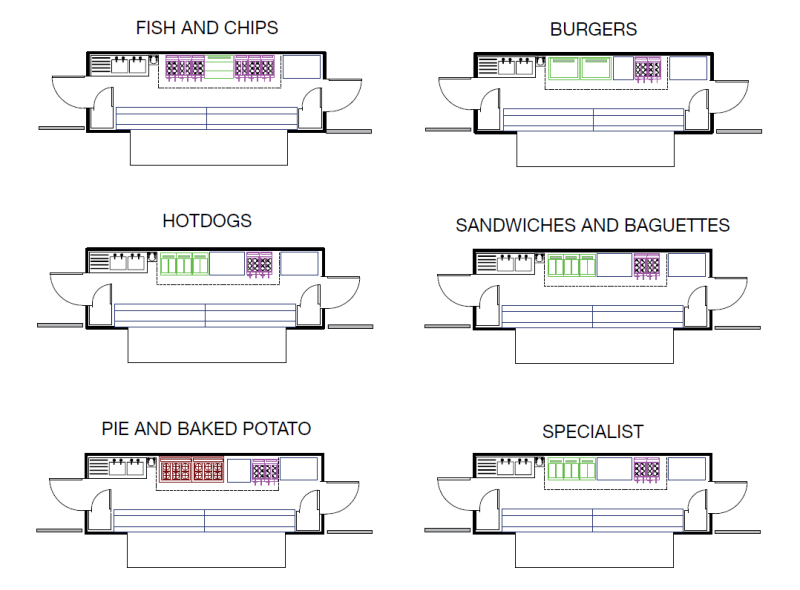 As above, food outlets of any nature can be created from our extensive range of catering equipment. 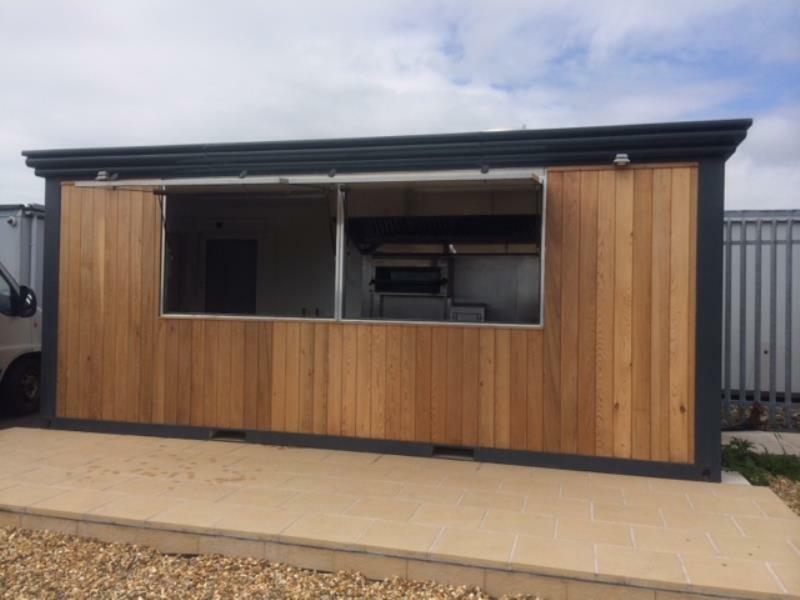 From our wide range of catering equipment for hire, kiosks can be set up for temporary (or permanent) burger bars, tuck shops, coffee shops, fish & chips takeaways, delis, baguettes / sandwich bars, hot dog stands, hot pies, baked potatoes, carverys, licensed bars and more. 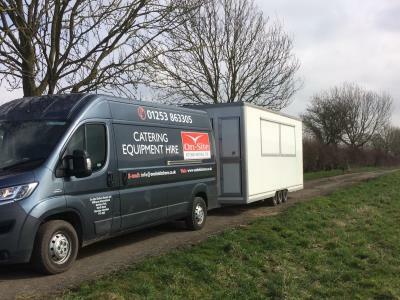 Easily dropped into place as a complete unit, our temporary kiosks are perfect for catering at events including music concerts and festivals, sporting events, airshows, regattas, agricultural shows or as more permanent food stands at racecourses, football grounds and more. Likewise, their size and tailorable layout makes them suitable as retail merchandise units at any of the above locations. 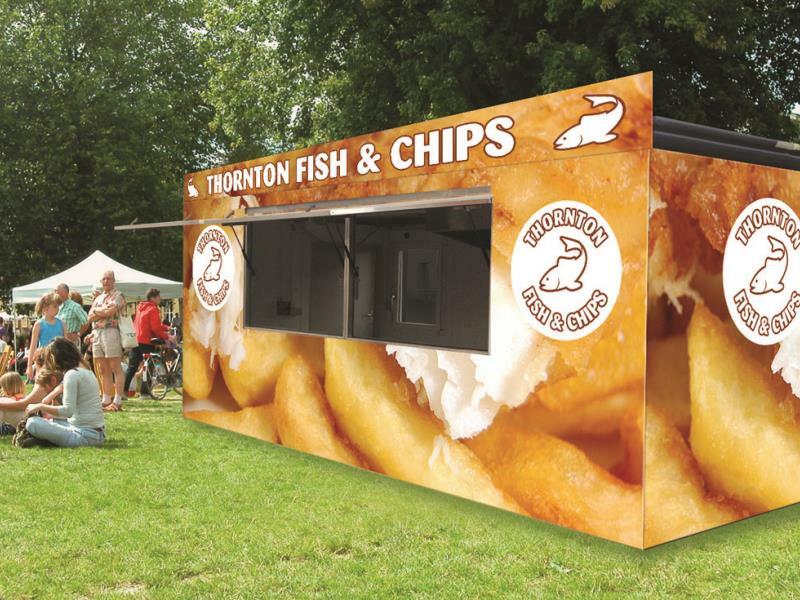 With the option of company branding, our kiosks make ideal temporary or permanent units for use on the high street or in shopping centres, for example as coffee shops, cookie stands, sandwich bars, delis and more. Holding an outdoor party for a wedding, birthday or other celebration? With full length glass doors fitted, our kiosks make an excellent alternative or compliment to marquees to store refrigerated drinks or keep buffet tables out of the weather. 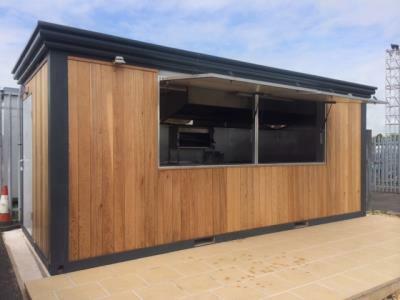 A kiosk from On-Site Kitchen Rentals Ltd is an opportunity not to be missed!